In an August post I gave a pretty thorough accounting of the retreat experience at Spirit Rock. This late November retreat was ten nights instead of six in August, we had Teja Bell teaching Qi Gong instead of Janice Gates and Anne Cushman teaching yoga, it was a Thanksgiving retreat so we had a lovely celebration in silence, it was winter instead of summer, we had totally different teachers, and I cleaned toilets instead of vacuuming halls. Other than that it was very much the same! Okay, it was totally different! The sweetest thing in all the world, besides babies and small children, is a sangha (community of retreatants) in silence. The quiet itself is delicious. Internally the release from interaction is restful. I imagine it’s like the difference between a big box of 100 ping pong balls, bouncing off the walls and also bouncing off each other; and one ping pong ball in a small box, still bouncing off the walls (interior conversation) but able to come to rest more easily because there aren’t all the other surfaces to interact with. The silence is like fine wine becoming more mellow as it ages. Each day of the retreat the sangha becomes more synchronized and sensate. No one bumps into anyone, as if the energy field around each person is more strongly sensed, and we all weave our way around each other, aware of each other without eye contact. Slowing down in the silence, there’s presence, awareness and what arises out of that is a civility that feels incredibly loving and supportive. Doors are held for each other because we are aware of the others in a way that moving at a faster pace and in the blur of being caught up in conversation, we might not. Silence is golden. And like gold, it’s value is determined by the collective. If people stop valuing it, it loses its value, because it can’t really be partially held in a close-knit sangha. It has to be universally valued and protected. Some people on this retreat were challenged in this regard. Once you start talking, it can be like starting back smoking or drinking for an addict. It’s impossible to have just one. And your behavior affects everyone, though you think you are being discreet. It’s like a small pin prick at first, but grows as more people succumb to the temptation. Still, for the most part, the sangha was in silence and it was magical. Apparently not all retreats everywhere hold the same traditions around silence. My roommate Yun from LA had not been to Spirit Rock before and her experience of retreats was that you could have eye contact and use ‘functional talk.’ I told her that there were some yogi jobs in the kitchen, where functional talk might be necessary, but other than that, no. She was shocked! But at the end of the retreat, she was quite blissful and grateful for this stricter interpretation of silence. On the last evening of the retreat we were told to experiment talking for the dinner hour. The first thing I noticed about talking is that the questions we ask each other automatically take us out of the moment. ‘How has the retreat been for you? Where do you head off to tomorrow?” Suddenly we’re in the past or the future instead of the present moment. Released from the cocoon of the silence, I was amazed how incredibly unskillful I became in my actions, forgetting to do things like eat! like take my pills! like go to my room to get my coat because it was getting cold! I also noticed we all started bumping into each other. “Excuse me” and “Oh, sorry” were suddenly necessary. It became then even more clear that the silence had energetically connected us in a symbiotic union, like cells that know they are in the same body, not separate beings. And the talking made us think of ourselves as separate again. In this state of symbiotic union it was easy to understand how birds fly en masse, turning all at the same time. Now this could be creepy (think of the Borg on Startrek Next Generation), but this was not a one-mind situation. We were all very much our own individual selves, making individual choices, but in our interactions things became very simple and slow. Last night, a week after the retreat had ended, I went to my circle singing group taught by the extremely talented singer and gifted teacher Pollyanna Bush. When the time came for us to take turns singing impromptu solos, I created an ode to the sweet silence of the sangha. The others in the group were so grateful to have that glimpse into the restful quality of retreat life, they didn’t want to change the mood, so the next singer, the extremely talented painter Jane Wilson, asked for the same tune (Pollyanna plays the piano for us) and sang a thank you song. Lovely! Often people who haven’t sat a retreat say they could never go that long without talking, especially people who consider themselves talkative. But surprisingly it is the people who are most talkative who find the greatest relief and release in the comfort of silence. I consider myself talkative, and that has certainly been the case for me. The silence is the absolutely best thing about a retreat, as wonderful as the teachings, the food, the setting and the care of the staff are, the silence is the greatest teacher, the softest comforter and the pure sweetness of any retreat. This entry was posted in http://schemas.google.com/blogger/2008/kind#post, Pollyanna Bush, retreat, sangha, silence, Spirit Rock Meditation Center on December 10, 2009 by Stephanie Noble. Welcome back to the world of chatter! Great description of your silent retreat. 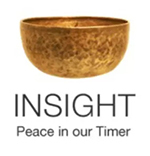 I've sent this link to members of my meditation group. Thanks Yarnwriter, It's been an interesting adjustment! And thanks for sharing the link to this blog.